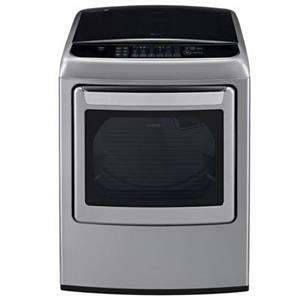 Innovative, attractive, and high-performing, this dryer will handle all of your drying needs with aplomb. The unit features an ultra-large capacity of 7.3 cu. ft., so you can toss in even large loads and get great results day after day, year after year. This dryer uses the power of steam to gently penetrate fabrics and reduce wrinkles and odors, which eliminates the need for ironing, saving you time and making your clothes look great. Another useful function of this unit is the SmartDiagnosis™ which allows the unit to be serviced remotely by an expert technician in the case of any malfunction, saving you an expensive service call. With all of the capabilities and functionality, aesthetics aren't lost in this unit, as it boasts an attractive and modern exterior befitting any gracious home. 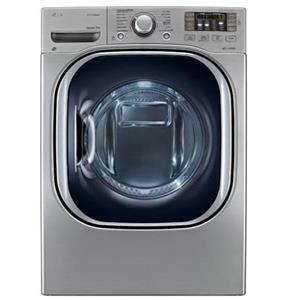 The Dryers 7.3 Cu. 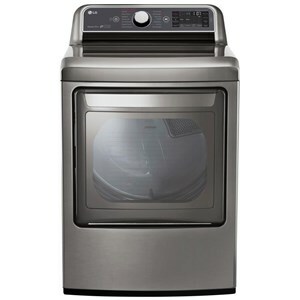 Ft. Front-Load Electric Ultra Large High Efficiency SteamDryer™ with LoDecibel™ Quiet Operation by LG Appliances at Furniture and ApplianceMart in the Stevens Point, Rhinelander, Wausau, Green Bay, Wisconsin Rapids, Marshfield, East and West Madison, Wisconsin area. Product availability may vary. Contact us for the most current availability on this product. Ultra Large Capacity: At 7.3 cu. 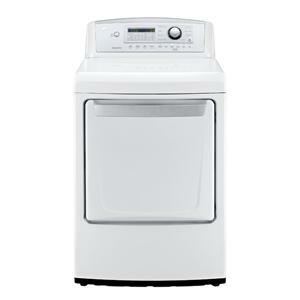 ft., this dryer helps save time and money with the capacity to handle large loads with ease. LG likes to think big for your home. 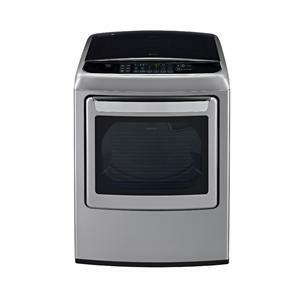 Depth (front to back) 28.375"
Height (bottom to top) 40.1563"
LG's line of gas and electric dryers combine advanced, innovative features with stylish elegant design that befit the laundry room of your dreams. 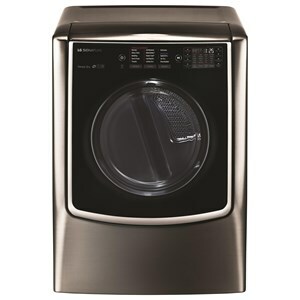 Reliable, durable, and always performing to the highest of standards, LG dryers are a must for anyone looking to take the utmost care of their clothes and linens. With laundry moving out of the basement and closer to the living areas, style has become an important element in the laundry world. 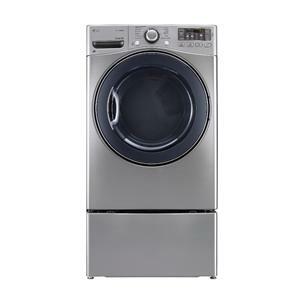 The Dryers collection is a great option if you are looking for Appliances in the Stevens Point, Rhinelander, Wausau, Green Bay, Wisconsin Rapids, Marshfield, East and West Madison, Wisconsin area. 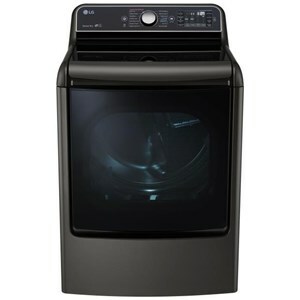 Browse other items in the Dryers collection from Furniture and ApplianceMart in the Stevens Point, Rhinelander, Wausau, Green Bay, Wisconsin Rapids, Marshfield, East and West Madison, Wisconsin area.